Most buyers shopping around for a crossover SUV are looking for extra power and cargo space without settling for a larger SUV. To assist you with your selection between the many great options available, we have compared the 2016 Mazda CX-3 to the 2015 Nissan Juke. Both models incorporate smooth and sleek sporty design that looks good on the road. When you purchase a crossover SUV, you expect a little extra power under the hood. That is why the CX-3 comes equipped with the Skyactiv 2.0-liter 4-cylinder engine. The Juke offers a 1.6-liter 4-cylinder. Both models come with optional AWD and both models save you a lot at the fuel pump with great fuel economy. The CX-3 GX FWD (base trim) comes standard with automatic 6-speed transmission, with the option of the top-end GT trim and column mounted paddle shifters. Paired with a user activated sport mode that rev matches on downshifts, the CX-3’s automatic transmission is a real pleasure to drive. 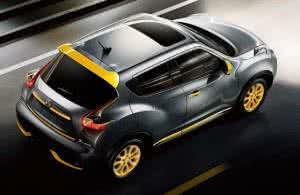 The Juke offers 6-speed manual or Xtronic automatic Continuously Variable Transmission (CVT). vered. For your entertainment purposes, the CX-3 provides a 7-inch touchscreen colour display. The Juke’s base model is not equipped with a 2015-Nissan-Juketouchscreen, however the higher trim level models come with a 5.8-inch touchscreen display. Also of similar quality are the connectivity options available in the two models. Both vehicles keep you safely connected to the outside world through Bluetooth wireless technology and their respective smartphone integration systems. The CX-3 comes with Mazda Connect, while the Juke uses the NissanConnect with Bluetooth Hands-Free phone system. 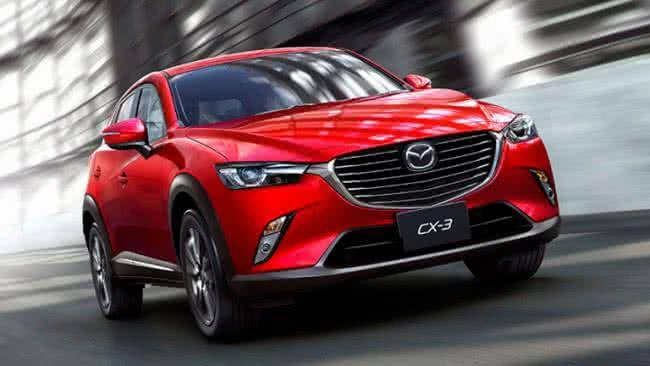 The 2016 Mazda CX-3 vs 2015 Nissan Juke comparisons show that both vehicles are great crossover SUV options and all it comes down to is your personal preference. Take a look at our inventory to see the models in stock. You can also call or stop by the dealership to receive even more information on the 2016 CX-3.